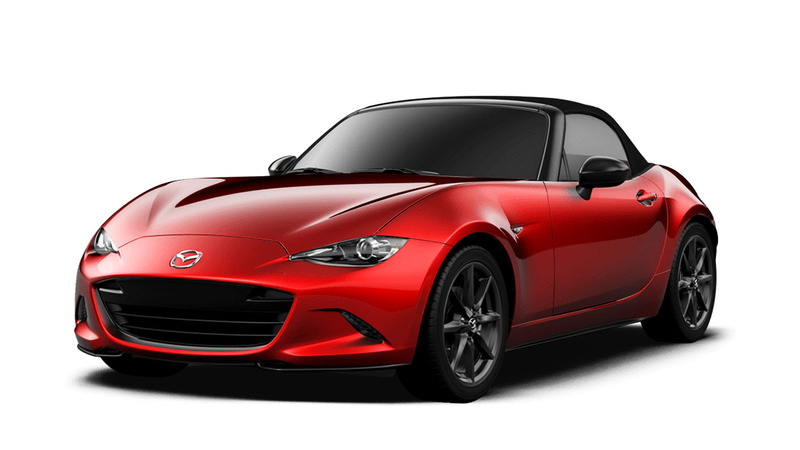 Mazda's brought back the classic affordable roadster when it unvelied the first gen MX-5 in 1989. It was the spiritual successor to the british roadsters of the 60s, especially the little Lotus Elan. Over the past two and a half decades the MX-5 evolved into a more refined but slightly larger and heaver car. Mazda hit the reset button with the all-new 4th gen MX-5 (ND), going against the trend for larger and heavier vehicles, the new MX-5 is more compact and lighter than the model it replaced. According to Mazda, "the fourth generation (MX-5) stays true to the model’s original aim of offering the pure driving fun that only a lightweight sports car can." For those who prefer a targa style top, Mazda has added the "RF" (Retractable Fastback) body style. Under the hood is an updated version of Mazda's 2.0 liter SKYACTIV engine which now produces 181hp and 205Nm of torque, it can be paired either with a 6-speed manual or a 6-speed automatic transmission. The Machine Gray paint for the Roadster costs an additional P16,800. The Soul Red Crystal paint costs an additional P22,400.